#Scriptchat TOPIC: Open forum – run naked through screenwriter land. No questions/topics off limits. 7:00 pm DreamsGrafter: #SCRIPTCHAT O'CLOCK! 7:02 pm momentsoffilm: UNLEASH THE #SCRIPTCHAT !!! 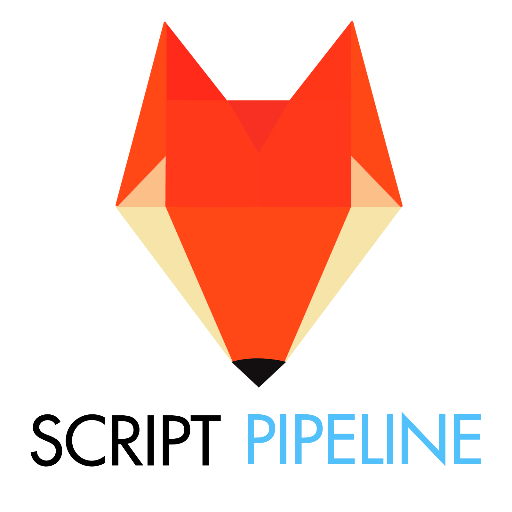 7:02 pm DreamsGrafter: Also, just a reminder: Next week is the start of #scriptchat SCRIPT NIGHT - Check http://bit.ly/9kY8nY - for details. 7:03 pm filmutopia: @DreamsGrafter #scriptchat I was ill all week and got sod all done as a result. 7:04 pm DreamsGrafter: Haha, I've just taken a peek at #writechat ... see they're talking about celebrating accomplishments. #scriptchat - SO important. 7:05 pm DreamsGrafter: @filmutopia Hope it doesn't mean you burn yourself out next week, trying to catch up. #scriptchat. The pressure can be immense. 7:06 pm DreamsGrafter: @PennyAsh Yeah, really looking forward to it. #scriptchat Script Analysis is so important. 7:06 pm filmutopia: @DreamsGrafter #scriptchat - next week is hellish anyway... but no, I will be pacing myself. 7:07 pm Lenscapper1: RT @DreamsGrafter: #SCRIPTCHAT O'CLOCK! 7:09 pm Jonathan_Peace: #scriptchat Criticism and how we deal with it. Any thoughts? 7:12 pm DreamsGrafter: What's great about SCRIPT NIGHT is that we'll be analysing scripts that have been made. #scriptchat - Let's raise our game! 7:19 pm chained: #scriptchat if #talesfromscript reflects being #screenwriter is #thewritersguild doing a bad #job ? 7:22 pm DreamsGrafter: @Jonathan_Peace welcome to #scriptchat! 7:23 pm filmutopia: #scriptchat big goal this year is to complete production on 400 Grams, set up two film festivals and complete the novel. 7:27 pm Jonathan_Peace: To everyone in #scriptfrenzy #scriptchat please read this http://tinyurl.com/3xab7v2 Question: Am I over-reacting? 7:30 pm filmutopia: #scriptchat - Is it kind of shocking, how few people's goals for the coming year involves having a project in production? 7:30 pm yingandyang: @Jonathan_Peace #scriptchat >when someone says this is not working, you should write it like this ignore them! 7:31 pm DreamsGrafter: RT @filmutopia: #scriptchat - Is it kind of shocking, how few people's goals for the coming year involves having a project in production? 7:33 pm filmutopia: #scriptchat I do understand why it's the case. It's been five years since my last feature production... but still, makes you think! 7:35 pm JPtwit: what's your big goal this year? #scriptchat @jeannevb Have at least 1 new feature screenplay to shop. Got a few in the works. And you? 7:35 pm filmutopia: #scriptchat I know writers still carting around scripts they wrote seven years ago, who haven't had a production in ten years! Madness. 7:41 pm DreamsGrafter: #SCRIPTCHAT REMINDER: SCRIPT NIGHT starts next week. Check here for details: http://bit.ly/9kY8nY - It's like a book club but w/ scripts. 7:42 pm Jonathan_Peace: #scriptchat as a new aspiring screenwriter I guess this is one of those things I have to learn to get used to. Others dragging me down. 7:53 pm Jonathan_Peace: to all #scriptchat cheers for the pep talk. Starting to come out of my bad funk. Time to get the good funk on! 7:55 pm marshbuttrue: Quick! Someone tell me the #scriptchat topic before its too late! 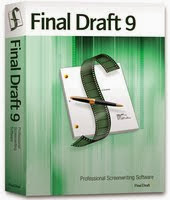 8:02 pm DreamsGrafter: Another great #scriptchat! Thanks everyone for joining in. It's great to see familiar and new faces alike. 8:02 pm bourbonroad: @jeannevb I'm enjoying this #scriptchat so far! I won't be able to catch the "U.S." version later today--catching a flick with the wife. 8:04 pm marshbuttrue: Late #scriptchat comments! - I'm always working on new ideas at every stage of writing. Never a gap between projects. 8:05 pm marshbuttrue: #scriptchat my goal this year is to do whatever the year allows. No point setting yourself up for failure in a field so unpredictable! 8:05 pm DreamsGrafter: RT @marshbuttrue: #scriptchat my goal this year is to do whatever the year allows. No point setting yourself up for failure in a field so unpredictable! 8:06 pm Jonathan_Peace: #scriptchat I have my first spec ready to sell. I've approached some agencies in LA, started networking through LinkedIn, InkTip etc. 8:07 pm Jonathan_Peace: #scriptchat Right. Rant over with. Cheers again guys. Okay, onto the question I wanted to ask: Selling The Script - strategies? 8:07 pm marshbuttrue: and finally - #scriptchat all feedback will be fantastically useful, providing you're clear and unflinching on what you're trying to write. 8:11 pm Jonathan_Peace: #scriptchat but is that right? Query first? Just send script? Agent first...?? 12:03 am naturaldefiant: @jeannevb I'm sorry, but what is #scriptchat ? 12:05 am jeannevb: @iamJaymes awesome. I want ALL deets. Going to search the #storychat tag after #scriptchat ;) Congrats! 12:05 am UncompletedWork: hey #scriptchat peeps, out and about, so I'll miss you today. Drink up. 12:05 am Timsn: #scriptchat and taxes? Oh no! 12:06 am scriptscene: Oh yes, it's #scriptchat o'clock. Join in if you are interested in screenwriting. 12:08 am JasonDalBianco: #scriptchat - ADAPTATION is 1 of my favorite films written by my favorite screenwriter. I'll be printing that and participating in the chat. 12:09 am jeannevb: *curtsy* #scriptchat requirement is tolerance for alcohol ;) RT @jaylatt: @jeannevb Tequila?? We are going to get along great! 12:09 am JasonDalBianco: #scriptchat - Anyone else participating in #scriptfrenzy? 1,000's are trying to write 100 screenplay pages within the 30 days of April. 12:12 am Donna_Carrick: Uh oh, iPhone really dying now, won't refresh #scriptchat . Must...leave...now @jeannevb . Sorry!! 12:15 am JasonDalBianco: #scriptchat - Friend talked me into #scriptfrenzy. Unsure if I'll make 100 pgs, but this has been my most productive writing month to date. 12:16 am willentrekin: RT @ScriptScene: Anyone have any books they love to recommend on screenwriting? #scriptchat Screenplay. Syd's great. 12:17 am KageyNYC: That's great! RT @JasonDalBianco: #scriptchat Friend talked me into #scriptfrenzy... this has been my most productive writing month to date. 12:18 am CDominiqueG: RT @diannesalerni: Hello, everyone. Sorry I'm late, but I had to make my martini. #scriptchat/// got more? 12:22 am willentrekin: . @jeannevb Have you considered making #scriptchat ongoing, like @rosspruden and #infdist, rather than 1 hr/week? #storychat, too. 12:22 am JasonDalBianco: #scriptchat - Used a guy I know to shape and name a secondary character. Not really a big fan of the guy, but his image is stuck in my head. 12:28 am willentrekin: RT @GCGeek: With laptop in hand at the airport you can wait, watch, write! #scriptchat Laptop? iPhones do screenwriting format now! 12:29 am JasonDalBianco: #scriptchat -I've heard somebody suggest going to a graveyard to find names, but that sort of creeps me out. 12:30 am Timsn: OMG #scriptchat convention -- Jose Cuervo will be a busy guy! 12:31 am JasonDalBianco: 1st lap dance is on me. RT @KageyNYC: I'm in. RT @JasonDalBianco: Vegas. RT @jeannevb: I'd love to have a #scriptchat convention someday. 12:34 am Timsn: Couldn't get tkts to Comic-Con so #scriptchat meetup in Nashville sounds great! 12:34 am naturaldefiant: #scriptchat i have to leave. wil be back later. if anyone cares to see some of my ideas. just @ me please. 12:34 am KageyNYC: Time for #scriptease RT @markezrastokes @jeannevb Why am I envisioning scenes from THE HANGOVER during this talk of Vegas #scriptchat conf? 12:35 am thinkStory: #scriptchat @jeannevb haha, just came from a screening of film shorts, and one was about strippers! 12:35 am MisterFurley: @JasonDalBianco Lap-what?? You should be ashamed of yourself! Consarn it! #scriptchat And why do I smell tequila? 12:37 am marisabirns: RT @John_Marlow Anyone find twitter helps make their writing more compact? #scriptchat || Yes. Helped to learn not to use "that" so much. 12:41 am JasonDalBianco: @MisterFurley I just got chewed out by Mr. Furley. This is the best #scriptchat ever. 12:42 am KageyNYC: Haha, me too! RT @JasonDalBianco: @MisterFurley I just got chewed out by Mr. Furley. This is the best #scriptchat ever. 12:42 am blankethouse: #scriptchat. - how important are margins in the dialog? 12:43 am JasonDalBianco: #scriptchat -This Vegas trip needs to happen. 12:44 am KageyNYC: So say we all. RT @JasonDalBianco: #scriptchat -This Vegas trip needs to happen. 12:44 am willentrekin: @chipstreet Cells and tech don't always work. Use failure to advantage as both conflict and obstacle/resolution. #scriptchat. 12:48 am WriterChanelle: It will be trashed if formatted incorrectly. Lol. RT @blankethouse: #scriptchat. - how important are margins in the dialog? 12:49 am WriterChanelle: Me three! RT @KageyNYC: So say we all. RT @JasonDalBianco: #scriptchat -This Vegas trip needs to happen. 12:53 am TracyClark_TLC: For you, certainly it does!! RT @JasonDalBianco: #scriptchat -This Vegas trip needs to happen. 12:54 am blankethouse: @WriterChanelle So ur saying margins r somewhat important! I got 7 replied about perfect margins #scriptchat. 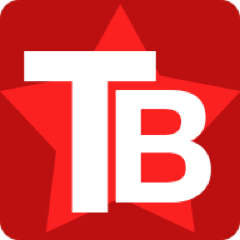 12:59 am JasonDalBianco: @TracyClark_TLC We're going to do a #scriptchat meetup in Vegas. We'll prolly be on the news. I might get arrested. 1:00 am Danisidhe: RT @jeannevb #scriptchat Is it Nicholl time again? It is soo worth it, I only made Quarters but got so many requests! Good luck everyone! 1:17 am JasonDalBianco: #scriptchat - This seems like a good time to put my clothes back on and get some stuff done around the house. See you all in Vegas! 1:23 am JasonDalBianco: My #scriptchat Vegas conference budget will include bail money.